PERFECT FOR LETTER WRITING! I used this poster during a letter writing unit. 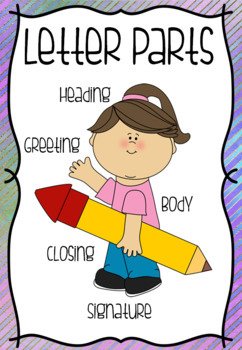 By pointing at our body parts (head, mouth, body, legs and feet), the children were able to remember the parts of a letter. It worked really well!